If you're an avid Mac user, there's a good chance you already know about macOS Mojave, the latest version of Apple's proprietary desktop OS. The OS was first unveiled at Apple's Worldwide Developer Conference on June 4, and it went into public beta later that month. As is often the case with Apple's newest desktop operating systems, Mojave is bringing a wide array of new features, many of which are UI-focused. Though we won't get into all of them here -- there's far too many to easily describe -- we'll discuss some of the most exciting ones. To start with, Mojave will arrive with the all-new "Dark Mode" feature, which is a first for macOS. Dark Mode will apply a darker color scheme to Finder and other macOS services, changing them from bright white to various shades of gray and black. The feature is designed to make working at night a more comfortable experience by reducing eyestrain. Another UI-focused feature is "Dynamic Desktop," and it complements Dark Mode nicely. If you use one of Mojave's default backgrounds, Dynamic Desktop will automatically change it to suit the time of day. As the sun goes up and down in the real world, your wallpaper's aesthetic will change accordingly. Think of it as a day-night cycle for your Mac. 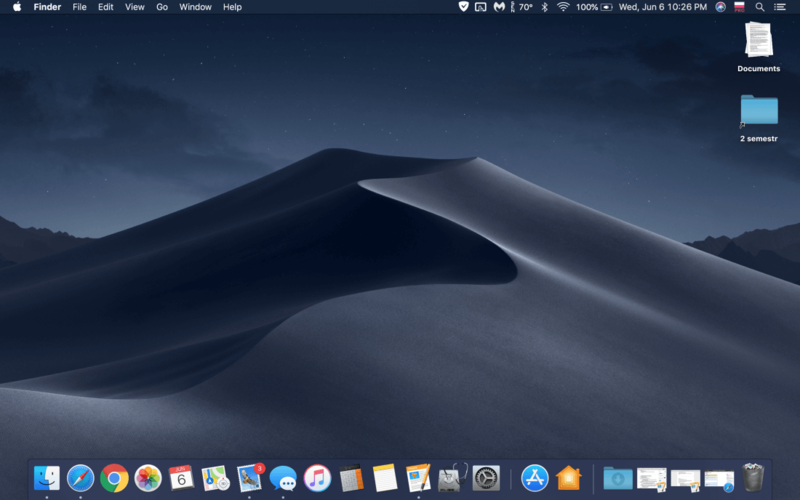 Another Mojave feature is "Stacks," an organizational tool that, as our own Cal Jeffrey noted in June, lets users turn a cluttered desktop into a well-maintained, well-organized workspace. Using the feature is as simple as dragging files into piles; if you've ever used Stardock's "Fences" tool, you'll be right at home using Stacks. If any of these features sound like your cup of tea, the wait is finally over - macOS Mojave is available for download right now through the Mac App Store.